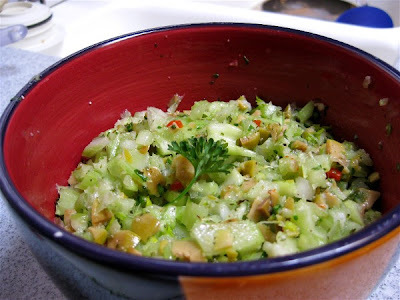 Chop celery, onions, & parsley and place in bowl. Mix vinegar & spices together. Add olive oil. Pour over vegetables. Refrigerate until ready to eat. Tastes best after several hours. I'm trying this one. So simple and sounds so good!